There's some graphics or content (or even website legal documents) on the web that you like… there's no copyright notice associated with it. You'd like to take it and incorporate it into your site, right? It's so tempting, but DON'T do it! * copyright automatically vests in the author or artist (regardless of whether the work has a copyright notice or whether it is registered with the Copyright Office). So, you need to secure the appropriate permissions before using the graphics or content. Failure to do so, can cost you dearly. An illustrative case is the case of Photo Resource Hawaii, Inc. v. American Hawaii Travel, Inc., No. 07-00134 DAE-LAK (Dist. Hawaii Dec. 12, 2007). In this case, the defendant never had rights to the content, and he was ordered to pay $48,000 in statutory damages, $5,145.55 in attorney's fees, and $386 in court costs. The same result is true if you had permission to use the material, but the permission expires or terminates. Even if use was originally with permission, use after expiration or termination will get you sued. In the case of Chase Jarvis v. K2 Inc., No. CO3-1265Z (W. Dist. Washington Dec. 12, 2003), the defendant was nailed for infringement because his content license had expired. 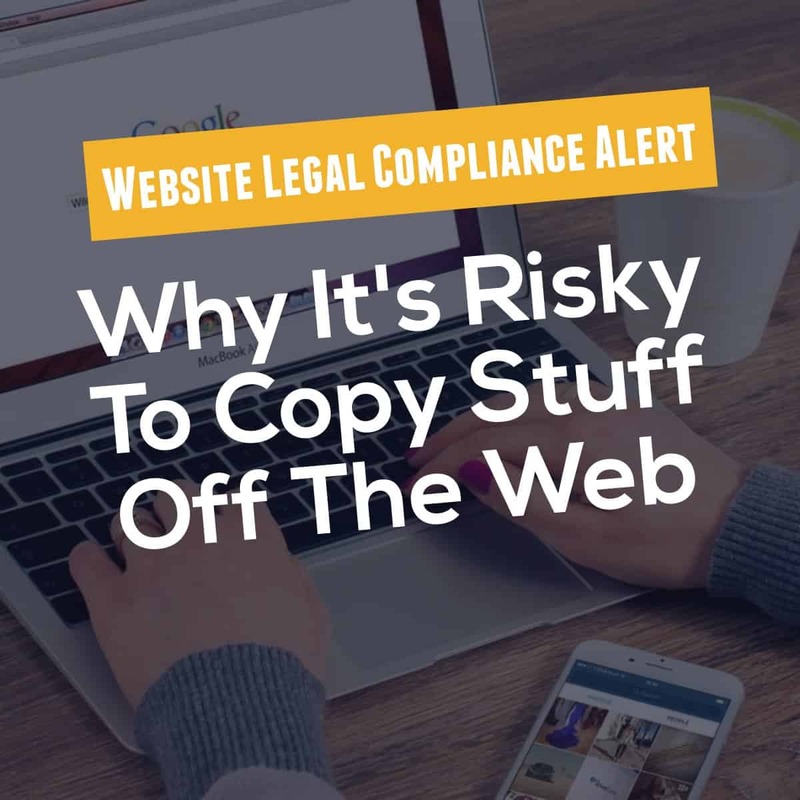 You realize that it's past time for you to add the website disclaimers and documents to make your site legally compliant. So, what to do? 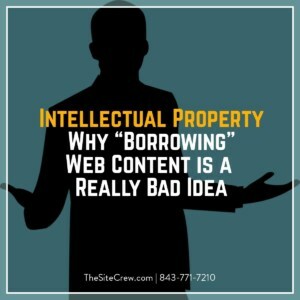 You consider “borrowing” legal agreements from another website. After all, it's there for the taking. Right? Wrong! For starters, it may be copyright infringement to copy the other guy's documents without permission. That's reason enough not to do it. The other reason is that just as with most things… one size does not fit all. You should realize that each ecommerce business is unique. The other guy's policies regarding the collection, use, sharing, storing, and security of customer data most certainly will not match yours. Additionally… the other guy's assumptions may be different. For example, the other guy's site may not incorporate blogs, forums, or chat rooms. If your site does incorporate a blog, then his documents will not have the DMCA notice (and you will not qualify for the “safe harbor” from copyright liability; you'll be liable without even knowing it). Even if his site incorporates a blog, do you want to bet that it has the DMCA notice in proper form? In summary, do it right. 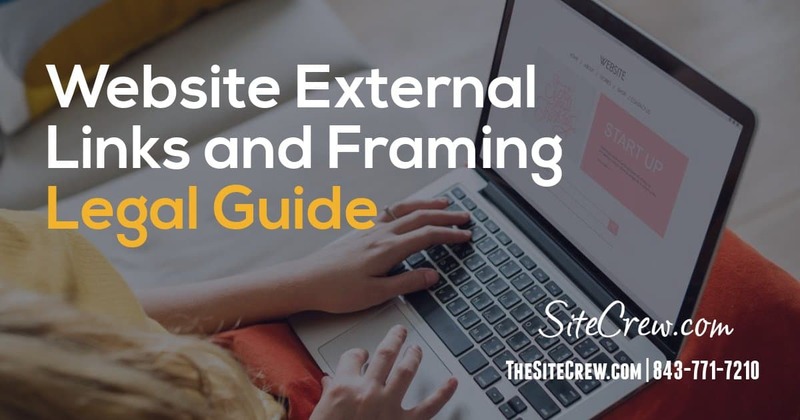 Don't cut corners with something so important as your website content and website documents. Use your own content, documents, policies, and rules for your website. Only then will you have the confidence and peace of mind that you will not be faced with a demand letter, or worse — a lawsuit — from the content owner. Chip Cooper is a leading intellectual property, software, and Internet attorney who advises software and ecommerce businesses nationwide. Chip's 25+ years of experience include 20 years as Adjunct Professor of Computer Law at Wake Forest University School of Law. Visit Chip's digicontracts.com site, sign up for his FREE newsletter, Website Law Alert, and Special Report; also learn about his “Do-It-Myself” and “Do-It-For-Me” service options. If you're like most small ecommerce businesses, you're likely to write your own marketing copy. Be aware that this is a highly regulated area that could result in substantial liability. I've boiled most of the regulations into 2 basic traps you must avoid. Wikipedia defines “copy” as written material, in contrast to photographs or other elements of layout, in a large number of contexts, including magazines, advertising, and book publishing. In advertising, web marketing and similar fields, copy refers to the output of copyrighters, who are employed to write material which encourages consumers to buy goods or services. Web copy has one major advantage over offline copy – it is interactive. Hyperlinks provide you with powerful tools to lead a potential customer through a pathway designed by you which ultimately leads to a conversion to your call to action. When you write your own marketing copy, you necessarily make certain “claims” – statements upon which a consumer may reasonably rely in making a purchase decision. In so doing, you're facing another legal pitfall. Legally, claims are extremely important. The Federal Trade Commission (FTC) Act, 15 USC Sec. 41-58 and accompanying regulations prohibit “unfair or deceptive acts or practices”. Unfair or deceptive acts or practices include claims that are not substantiated before the claim is publicly disseminated. So review your ads carefully, and be sure that you can substantiate and back up your ad claims. * If you claim “best value”, understand that it's a promise that is very broad in scope – essentially, you're promising that your offer is worth more than the asking price – if you're going to make this claim, you'd better provide the proof on your site. * If you claim “we're no. 1”, you need to be very specific regarding how you determine no. 1 – no. 1 at what? – in gross sales, in sales growth for a specific period, in the number of widgets sold? * If you claim the “latest and greatest”, “next generation” or words to that effect, you should substantiate how the claim is true – explain specifically how you justify the claim in relation to other competitive products on the market. * If you claim “user friendly” or “easy-to-use”, you need to be specific regarding substantiation of specifically how much time a certain task routinely takes, exactly which steps are automated. * If you offer a “risk-free guarantee”, understand that even a free evaluation is not completely risk-free because the evaluation takes time for the customer to evaluate – time is money, so-to-speak, so a better approach is to promise an unconditional refund, no questions asked. * never promise specific results – again “your mileage may vary”. The FTC has special rules governing any use of the term “FREE” (or similar words to that effect), which the FTC believes is frequently used in an untrue or deceptive way. * Buy 1-Get 1 Free; * 2 for 1 Sale; and * 50% off with the purchase of 2. In summary, be aware that what you say in your marketing copy is heavily regulated. You need to be careful not only to substantiate ad claims before you post them to your site, but also use certain key terms with great care so as not to mislead or deceive consumers. Chip Cooper is a leading intellectual property, software, and Internet attorney who advises software and ecommerce businesses nationwide. Chip's 25+ years of experience include 20 years as Adjunct Professor of Computer Law at Wake Forest University School of Law. Visit Chip's digicontracts.com site and download his FREE newsletter, Website Law Alert, and also learn about his “Do-It-Myself” and “Do-It-For-Me” service options. With the explosion in social media activity by users of the internet, its value as a marketing tool has also been recognized. At this point, any business which doesn't have a presence in social media is at risk of being left behind. 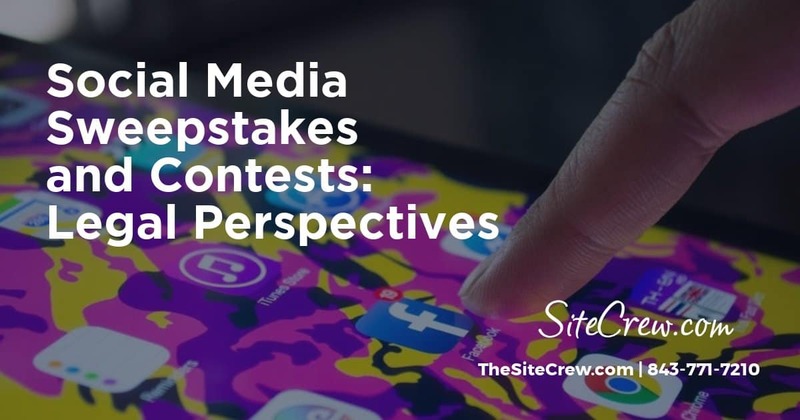 One strategy that lends itself nicely to the interactive nature of social media is the running of contests and sweepstakes promotions. But they should never be entered into without ensuring that all your legal bases are covered. Contests, such as those which ask participants to upload photographs, from which the winner will be selected by votes from the community, are fairly common. This sort of thing is legally classified as a contest, as distinguished from a sweepstakes, which requires no other action from entrants than completion of a form. The official rules for each type are, therefore, somewhat different in the regulations guiding them and the language used. A contest and sweepstakes lawyer is a resource that you need whenever you are planning to run a promotion of this kind, whether it's through social media, on your own website, or through partnerships with bloggers. The complexity of drafting official rules which are fully compliant with current regulations, federal and state, is too much for you to realistically consider doing it yourself. The liability you could face for rules that aren't compliant is significant. Don't be fooled into thinking that no one will notice. It's just not worth the risk. Having a lawyer who is experienced with online games of chance and contests, you won't have to worry. Many people access the internet using mobile computing. In fact, within three years, it's projected that more people will do so than using a laptop or desktop computer. This may create new legal issues which need to be addressed; for example, if a person is a resident of one state, but enters a sweepstakes via mobile in a different state with different relevant laws. As a marketing strategy, contests and sweepstakes became commonly used in the middle of the Twentieth century. Back then, direct mail and radio advertising were used. As legal questions arose, they were addressed and formalized. The process is ongoing. For this reason, you should never consider templating the language of your rules on someone else's – at least not without a full review by a contest lawyer. There are both federal and state laws which govern the allowable features, qualifications for entry, and disbursement of prizes for both sweepstakes and contests. Each country has its own laws, as well, which complicates things for international competitions. Social media sites have their own terms of service, which include language relating to the running of promotions. All of these different requirements must be understood and incorporated into your official rules. Engaging a sweepstakes and contest lawyer gives you the peace of mind that all your promotional games are fully legal. They'll also work with you in the event that issues should arise with competitors. This is an area of your business in which you just can't take chances with liability. Why do we care about a web site's Terms and Conditions? Everyone knows that a site needs to have legal Terms. Few people think about the obvious question: Why? While our statutes, regulations and past cases are full of laws and their applications when it comes to everyday interactions, few laws and cases exists with respect to online interactions. Why? Our cyber universe, as a mature legal arena, has existed for only some ten or fifteen years. When compared to the hundreds of years of “real world” interactions, its easy to see why many legal “holes” exists in our system. 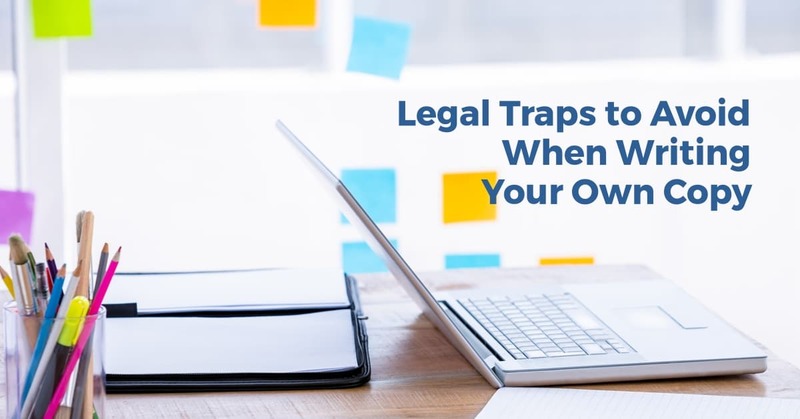 Under US law, these legal “holes” are filled up with with either judge-made interpretations or privately drafted contract law. Given that on any single day, a judge reviewing an online case may have come from family, criminal or juvenile courts, we would rather leave as little for judges to decide on their on as possible. We achieve this through proper negotiation, drafting and implementation of site Terms. Luckily for us, the US, as opposed to many civil code jurisdictions, respects privately negotiated contracts. Web site Terms are nothing more than privately negotiated contracts. Unless you realize this important point, you will end up leaving too much for judges to decide. Failing to realize that web Terms are privately negotiated agreements, most web site operators make three common mistakes. They Copy Other Sites' Terms: The most common way for site administrators to “draft” site Terms is by copying it from other sites. Worse, they copy it from some site touting its Terms as a standard that once edited can be used by anyone. Why? because, few administrators understand how important these Terms are. Fewer still understand the impact Terms have on each and every future online dispute. They fail to Negotiate the Terms: The most common mistakes made by site administrators is believing that if they post Terms on the internet, they will bind visitors. That is equivalent to posting mortgage papers on the wall of a bank and believing that everyone who enters will be bound by those documents. Web site Terms must be negotiated to be valid. This is a critical component of online compliance; few, however, understand how online negotiations take place. They Don't Change with the Times: Internet laws “develop” or “mature” through case law on a daily basis. Since so few cyber laws are codified through statutes, compliance can only be reached through Terms amendments reflecting these latest rulings. Many site Terms, however, were drafted 6 months to 3 years ago. Administrators must start thinking about making key changes to Terms on a regular basis. In our representation of online companies, we see four main areas of risks faced by clients. These risks are easily avoidable; however, due to a lack of understanding risks often mature into costly if not destructive forces for a young company. Many online companies unknowingly make promises to online users that they never intend. I've seen clients with subscription based pricing models having copied Terms relevant only to one time charge sites. As a result, they were liable for wrongful charges. Some clients with upstart e-tail sites, ended up making consumer support promises which only the like of Amazon or Buy.com could make. The Company assumes unnecessary levels of liability. When Terms are not properly drafted and negotiated, incorrect provisions can result in substantial corporate liability. There are countless class-action websites run by attorneys soliciting clients for class action law suits against online companies. Having the wrong Terms can be devastating. Administrators facing personal liability. Hard to believe, but when Terms are drafted improperly the owners and operators of sites can face liability personally, not just as a corporation. It may sound strange, but before you can start drafting any Terms you need to figure out what your goals are. The Terms must reflect your goals. More importantly, they need to avoid saddling you with unnecessary obligations. If you are building an affiliate marketing campaign and deploying squeeze pages, what are your goals? You want to build a mailing list, that's obvious. But what are the Terms of the transaction? You may want to give them a free gift or service in exchange for information. Alternatively, you may want them to read product descriptions. Either way, what do you want you customers to do? If you are building a forum or soliciting product reviews, what do you want users to do? You want them to post comments but you want them to behave in accordance with the law. What does that mean? How can their behavior make you liable to third parties? If you are building an e-tail site, what do you want to accomplish? You obviously want to make sales, but you also don't want to be liable for faulty products, lost shipments or false advertising. What if you are designing software that runs on the internet? You want to make sure it is deployed in accordance with legal allowances. You also want to make sure that its not distributed without your consent. What about a dating site? Here you want to make sure that members are truthful and that people interact safely. Every online product or service is unique. Start by defining your goals. There can never be too many. The mistake is to just ignore this stage. Step 2: Where is Your Liability? Once you figure out what your goals are, you need to think about where potential liability can come from. If you're developing an affiliate marketing campaign, you face liability from potential false advertising and product liability. If you you built a widget that runs off of tweeter, you face potential trademark and copyright violations in redisplaying tweets. If you run a forum, you face publisher liability for comments made by users. If you developed software that automates posting to Craigslist, you face liability for enabling your users' unintentional violation of that site's terms of service. If you develop a squeeze page you may face privacy concerns due to follow up advertising. If you develop a digital entertainment download site, you may face liability due to copyright infringement for ringtones and games. If you build a social network site, you face liability for intellectual property infringements for users' posting. There is unlimited forms of liability faced by online companies. The trick is to give some thought to all potential issues that can arise in the future, however remote. Always ask, what can someone end up being unhappy about? Even a $2.99 download product can result in millions of dollars in liability. It's one thing to figure out what you want. It's quite another thing to figure out what your customer wants to achieve. Don't forget what we said earlier on: A web site's Terms is a negotiated agreement. It can never be one sided or it risks being thrown out by a judge. So what do your customer want? A customer who clicked on an advertisement to an affiliate marketing site, wants truth in advertising regarding the product. A visitor to a squeeze page wants an exchange of his information for value. The e-product must be delivered as promised. A subscriber to a newsletter wants his information kept confidential from 3rd party marketers. A member to a dating site wants his personal information kept confidential from other members unless he wishes them revealed. A customer of a digital entertainment site wants his digital game to operate properly. A customer downloading a ringtone wants to make sure that he is paying for one download and not paying for a subscription. A buyer from an e-tail site wants to know who to return the product to in the event of a complaint. A client posting a review wants to make sure you keep his identity confidential. If you haven't given thought to what your customers want, a judge will. The negotiation starts by you thinking about your customers needs. So how do we put everything together? How do we enable our goals, while minimizing potential liability and allowing for customer wishes? We negotiate with the customer. I know this sounds strange. How can you ever negotiate with a visitor to a splash page? Terms of service are worth little if a court is likely to later dismiss many of the key provisions. Courts over the past few years have struck down many important sections of leading sites' Terms as being too one sided. How do you avoid it? Focus on the best form of “consent”. Most web sites at best offer a link at the bottom of a page to the site's Terms. Others go a little further by requiring the users to check a box as having “agreed” to the site's Terms. However, if you have a provision that you “must” make sure that a court will uphold you can do better. There are countless options available to make sure that a client reads and consents to important terms (e.g. displaying summarized terms of service). For some key issues, like dispute resolution, afford the user options. Most attorneys, inexperienced in online law, draft straight forward terms. As they try to bind users, they fail to understand that unless they build options into the Terms (like how to best resolve disputes) judges are likely to strike the provisions down. Don't fail this step. Negotiate fair Terms with your customers by giving them ample chance to consent to important provisions and providing them with options on how to best implement the Terms. Step 5: How to Make Changes? You can be assured of one thing. You'll have to make ongoing changes to your Terms. Not only are your business practices likely to change over time, online laws change on a regular basis. As online legal cases make it through the court system, we must incorporate into existing Terms any new legal interpretations and findings. Failing to do so, assures us of stale and irrelevant Terms. Basically, absent amendments to our Terms, the goals we set up earlier while minimizing liability will be ineffective. Does this provision seem strange? How often have you heard of a contract that can be amended unilaterally by one side without notice or the option to back out? Not often! That's because, in our normal daily lives we would never agree to such a contract. So why should such a contract apply online? Courts have, in online cases, consistently rejected contract provisions which were deemed too onerous when one side did not have the opportunity to choose among alternatives, negotiate or withdraw. From cases concerning arbitration clauses to subscription pricing, courts have rejected provisions that are too one sided. While this provision is widely accepted in the industry, I would not advise building an online business based on the broad application of unproven and legally weak provisions. Avoid the risk of a court rejecting your Terms. The solution: NOTICE. Go out of your way to provide your users with notifications of any changes made to your policies. Send out email and txt messages. Post notices of revisions to your site. Have members “re-accept” the new Terms. You can never do too much when it comes to providing notice of changes. Follow the Terms: This may seem so simple, but so few actually follow it. You need to know your Terms and you need to follow the Terms. If you made promises, keep them. If you provided customers with procedures they need to follow, respect them. Don't create a situation where you actually create liability for yourself by having drafted compliant Terms but having failed to follow them. Remember, since there are many “holes” in the online legal system, judges rely on privately negotiated contracts such as Terms. Your failure to follow your own Terms will be read against you. You would have effectively breached your agreement with your clients. Teach your Clients: So you “negotiated” your Terms through proper usage of the “acceptance” procedure. But do your clients know what to do? Often you liability is tied to your clients' behavior. So go out of your way to teach them proper and lawful behavior. From support forums to seminars, from conference calls to newsletters – Build a culture of education by teaching your clients the lessons that are important to you. AND… Build Liability Proof Domestic and Offshore Corporate Structures. After all is said and done, don't forget that your best ally when it comes to managing potential liability is the corporate structure that you've set up. Basic corporate structures, if properly set up and managed over the years, will provide you with some liability protection. That might be enough for some simple online businesses such as squeeze page powered affiliate marketing campaigns and e-tailers. For other online businesses, a more sophisticated form of domestic and offshore corporate structure is needed. Believe it or not, your greatest risk will not come from government. It will come from competitors. Everyday, large tech companies compete with smaller more nimble companies using the court system. And why not? In court, the larger companies have an advantage – money. Many entrepreneurial companies have gone out of businesses after being dragged into court by larger companies. For many online and software companies, compliant Terms will not suffice. They need to supplement those Terms with a structure that evens out the odds in court. This is a topic too large for this eGuide. Speak with an attorney about the design of domestic and offshore networks of online compliant corporate businesses. 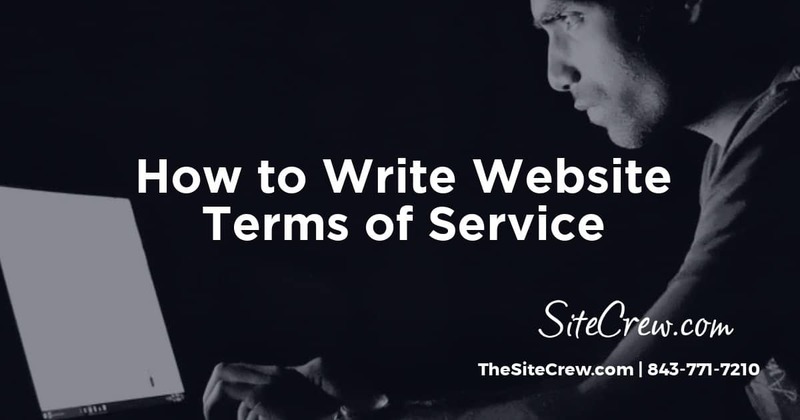 Sit back and start designing your site's Terms. The more questions you have, the better it will end up. And remember what we said in the beginning of this eGuide: A Site's Terms is only one component of its overall online compliance. Online Privacy Software Compliance Mobile Compliance Direct Marketing (email and txt) Intellectual Property Compliance (trademark and copyright) Online Advertising Online Promotions (contests and sweepstakes). Once you design an overall compliance strategy, examine your business' liability exposure and the ability to incorporate an online liability management system based on both domestic and offshore corporate structures. Lior Leser counsels Internet, mobile and software companies as a head of the LYL Law Group. Mr. Leser earned his J.D. at Stanford Law School (Stanford, CA). He also attended Sophia University (Japan) and the London School of Economics (London, UK) for advanced studies in Finance. He attended Brandeis University (Waltham, MA), where he earned an M.A in International Economics and Finance and a B.A. in Economics. The answer to this question depends on how you intend to use the mark in commerce. For example, let's say you develop a logo or design that you and your friends really like and people are asking for a t-shirt that displays the logo. So you now plan on going into business selling t-shirts, sweat shirts, etc., with your logo prominently displayed. But before you do, you want to make sure and protect your logo design. Is trademark the best protection? Remember, a trademark is an identifier. The mark identifies to the consuming public the producer of a particular product, or in the case of a service mark, the source of a particular service. With use in commerce, it becomes a recognizable logo design which identifies your product or services from those products or services of others. That's not what the logo design is doing in our t-shirt example. You are not a t-shirt, sweat shirt manufacturer. You are simply purchasing the clothing from another source in order to display your new design. The logo is simply being displayed on the t-shirt, it is artwork. 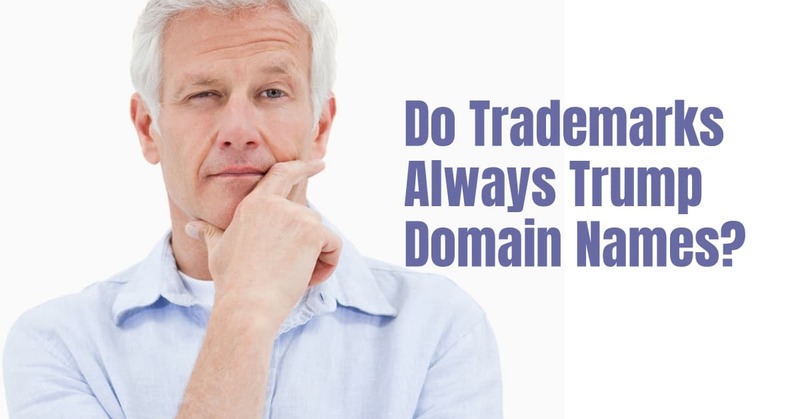 According to trademark law, subject matter that is merely a decorative feature does not identify and distinguish the business owner's goods and, thus, does not function as a trademark. You are not using the logo design as a trademark, but as an identifier. I would therefore not advise pursuing trademark protection but instead, apply for copyright registration on the design. If however, you have a product, and you intend to display the very same new logo on the product, and/or display the new logo design on the product's packaging as well as the advertising materials for the product, that's clearly using the logo as a trademark. With continued use in commerce, you are teaching the public that when they see the logo design on a product, or on packaging, or in advertising, that your business is the source of the product. In this case, trademark registration is the right way to protect the design. Gary Price is an attorney registered to practice before the United States Patent and Trademark Office. His legal practice includes all areas of Intellectual Property. Mr. Price also provides federal registration services under the business name Trademark Connect. If your business wants to register its brand, then go to http://www.TrademarkConnect360.com and learn more about our registration services and our registration Guarantee.